For women who elect to prevent pregnancy, there are many options available. Norethindrone is a progestin-only pill that is taken daily and changes the body to make pregnancy less likely. Typically this medication is taken by women who cannot tolerate other oral contraceptives which contain estrogen. In higher dosages, norethindrone is often prescribed as a treatment for endometriosis. As it only contains one hormone, norethindrone is often referred to as the mini-pill or a PoP (progestin-only pill). The progestin changes several things in a woman’s body to prevent pregnancy. The vaginal fluid is thickened to prevent the sperm from easily traveling to the egg (fertilization) and the cervical lining is also thickened. If an egg does become fertilized, it will not easily attach to this thickened wall and therefore will pass through the body without implantation. One main difference between norethindrone birth control and the many combination pills on the market is that the mini-pill does not consistently prevent ovulation. For this reason it is known to be slightly less effective than other hormonal contraceptives but is still more effective than using barrier methods like condoms or diaphragms. Prior to starting your prescribed medication, you should read all of the FDA information, instructions and warnings that come along with your prescription. This will give you an idea of what to do if you miss a pill, are late with a dose or have any uncommon reactions (in addition to other important prescribing information). 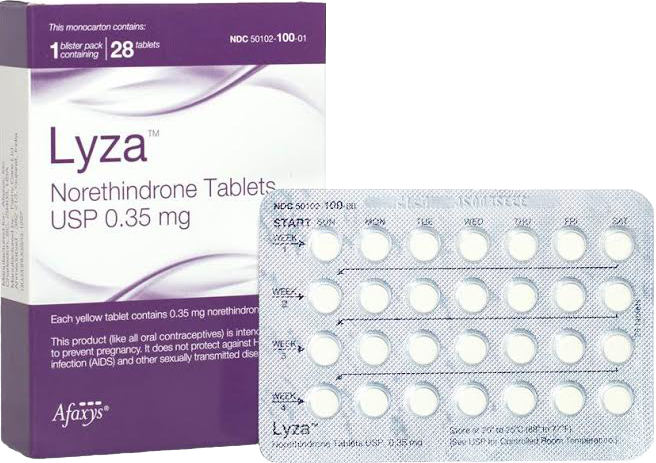 Norethindrone birth control should be taken at the same time each day. Whether you prefer taking medication in the morning or night, either option if fine so long as you take your doses 24 hours apart. If you do have any nausea (which is a potential side effect of norethindrone) then you may want to take the medication in the evening with a meal instead. If possible, it’s best to begin taking norethindrone on the first day of your menstrual cycle. If you do not, you can start on another day but depending on the advice of your doctor, you may want to rely on a backup method of birth control until the norethindrone takes full effect. When it comes to discovering the best birth control pill, it comes down to your own preferences, medical history and the advice of your physician. For women who cannot take medications containing estrogen, the best birth control pill is often norethindrone. There are a few possible side effects that you may notice when taking norethindrone acetate. Most are mild and many will lessen over time. Other women may not experience any side effects at all. The most common complaints include spotting between periods or irregular bleeding, changes in menstruation, nausea, weight fluctuation, tender breasts, growth of hair on the face, acne and difficulty falling and staying asleep. If you are concerned with any side effects, its best to contact your prescribing physician to make sure that you are not having a bad reaction to the medication.